Although it may seem a bit daunting, you don’t have to be a world-class chef to prepare healthy meals. Still, it helps a lot to have the right tools and lately many well-known kitchen appliances and gadgets have regained popularity especially when it comes to preserving our health. Twenty years ago, blenders were old-fashioned and boring. Everyone wanted a food processor instead (which is still a great kitchen gadget in its own right). But in the past few years, blenders have had a real resurgence. Some of the high-end brands like Blendtec and Oster have helped make blenders trendy again, and so has our collective national smoothie obsession. Your blender is definitely great for making smoothies. The healthy variety there is endless: Try any combo of frozen fruits and veggies, perhaps a little milk, yogurt or peanut butter…mmm! 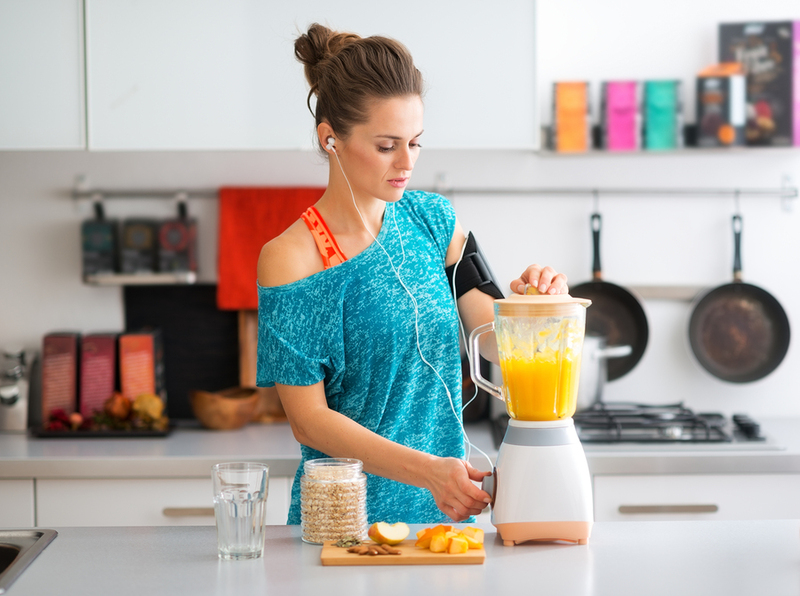 A breakfast treat you’ll feel great about all day, especially if you own the Blendtec Total Blender which features preprogrammed blending cycles, digital touchpad controls and auto shutoff. Blenders are also a whiz at whipping up homemade salad dressing or smoothing out chunky soups and sauces, and you can even use them to mix batter if you don’t have a mixer. The Oster® Perform Blend actually features Smart Settings™ Technology along with Dual Direction Blade Technology™ all in one. Not just for church potlucks anymore, slow cookers have also gone high-tech. Newer models even offer searing capability for roast, before you settle your favorite cut of meat in for a day-long braise guaranteed to turn out a tender, easy dinner. You can also use slow cookers for oatmeal, soups, chili, and more. If you’ve never used a slow cooker before, just search online for “slow cooker recipes.” There are millions of them! 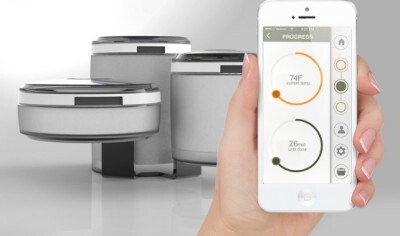 Plus, there are ways to synchronize the slow cooking process with your smartphone too with products like NUKE (an automated cooking system where three cookers work together, allowing you to control the process from anywhere, anytime). Steaming veggies is one of the healthiest ways to cook them. It preserves lots of nutrients and doesn’t add extra salt or fat. 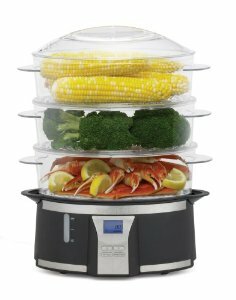 Steamers range from special containers for the microwave or simple metal inserts for your regular pots and pans to stand-alone electric appliances like the West Bend Programmable Steamer which features smart timers and tiered baskets for steaming multiple food items at once. We know, this one’s not an appliance. But every home cook needs a good, sharp chef’s knife, paring knife, bread knife, and others as your cooking interests dictate. You won’t regret spending a little more to get high quality here, and make sure you keep them sharpened. The health benefit? You’ll always be excited to get fresh veggies and chop them up for your recipes. And the fresher your food, the more nutrients you get! 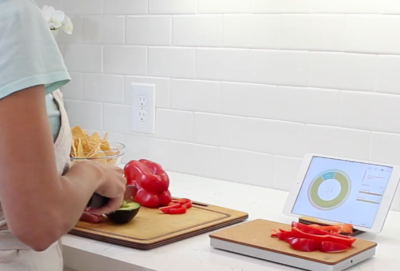 Electrolux even pitched a Smart Knife a few years back that analyzes and calculates the freshness and nutritiousness of your food, so keep an eye out for this or similar products that could feature touchscreen interfaces among other amenities in the not so distant future. A final, bonus, non-appliance tool. While measuring cups may or may not have been in grandma’s kitchen, since recipes and ingredients were mostly “eyeballed” in her day, personal food scales were certainly barely accessible. Today, food scales have become extremely important for those looking to lose weight or eat healthier overall. Serving sizes are key in maintaining healthy eats habits, so bringing your food scale out of the cabinet and on to your countertop is a great idea! If you’re a newbie in this area of kitchen tech, consider The Orange Chef Co. Prep Pad which is part smart scale, part nutrient guide, part dietician. You can also download the Prep Pad app (for iPhone) that helps you balance, save and track meals directly from smartphone or tablet.